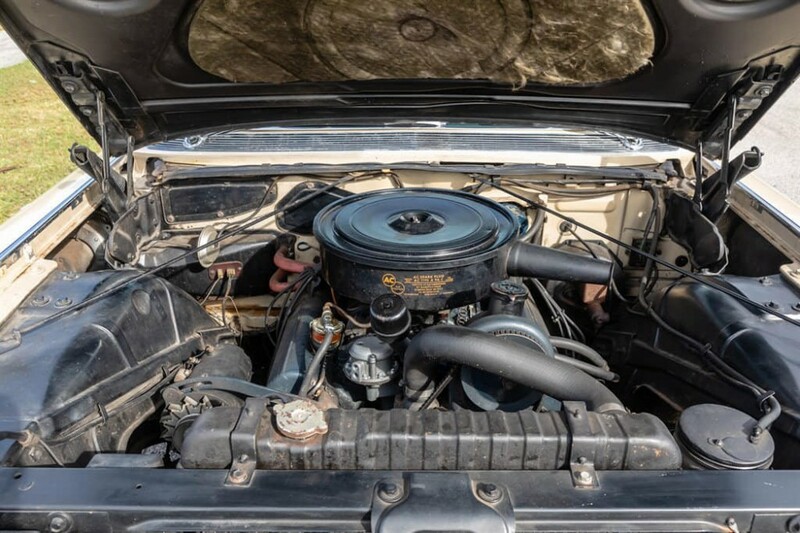 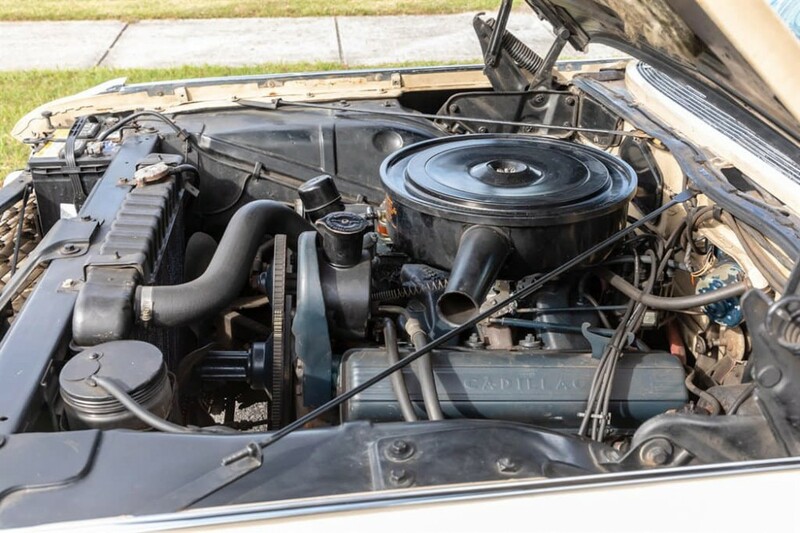 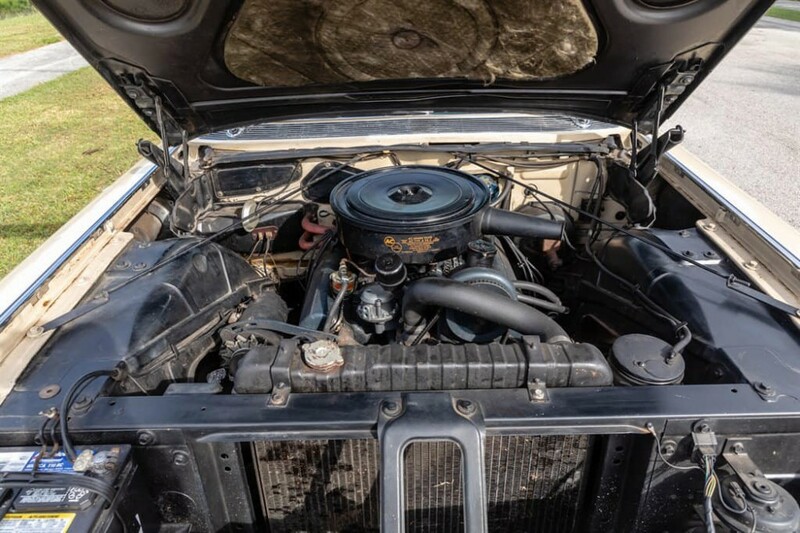 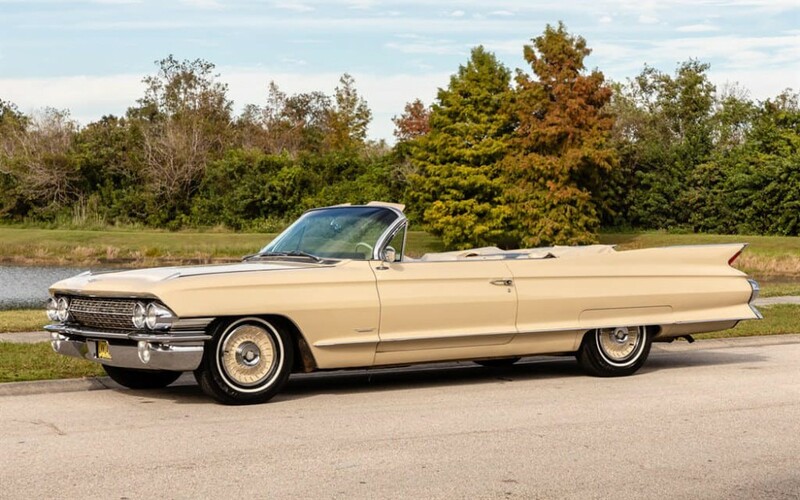 Now available by The Motor Masters is a 1961 Cadillac Series 62 Convertible for sale. 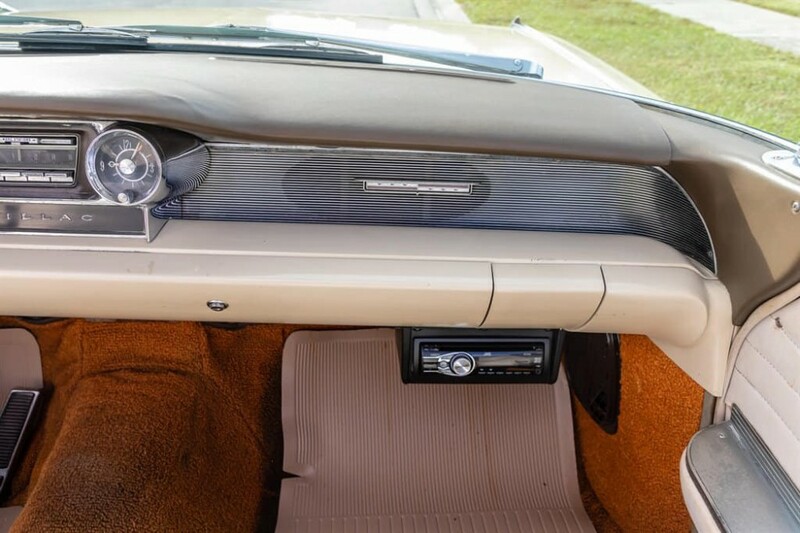 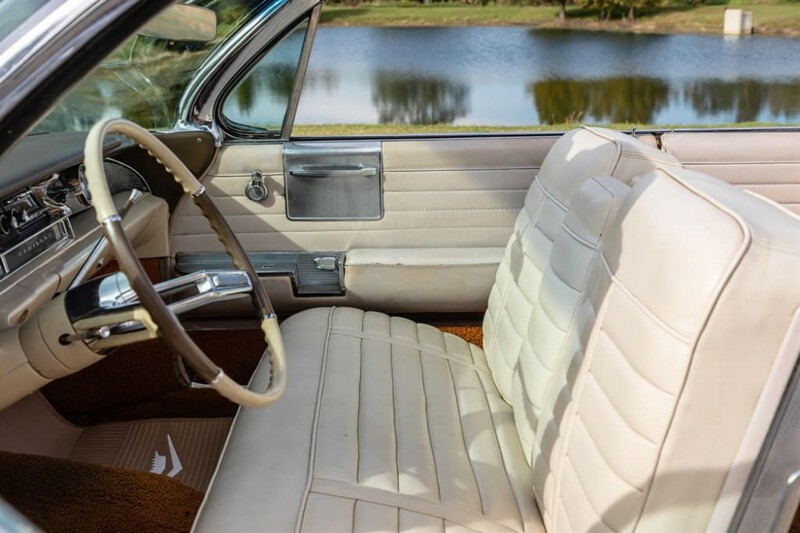 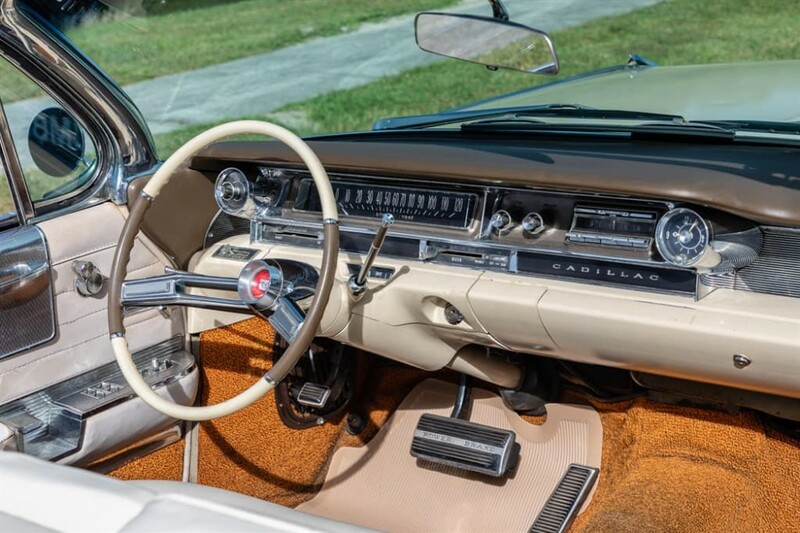 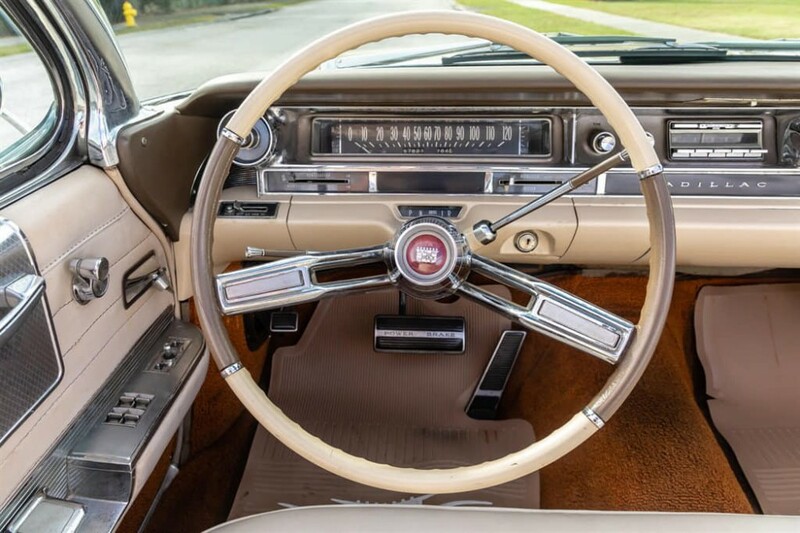 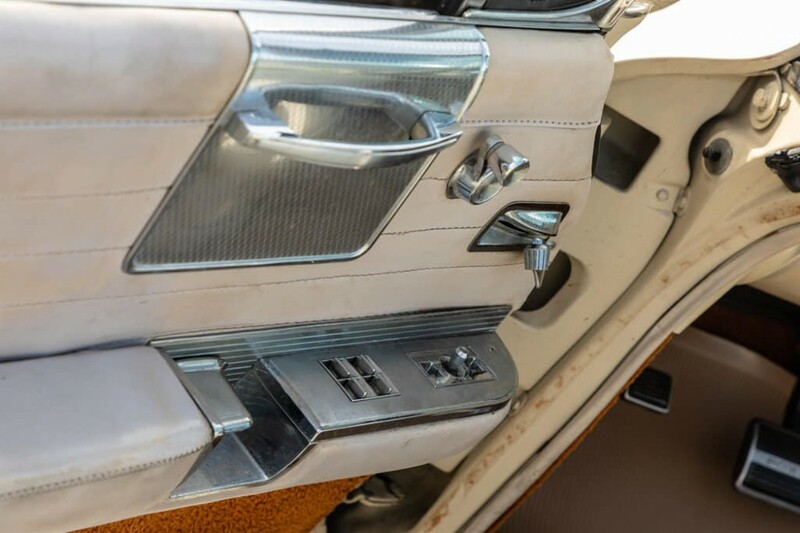 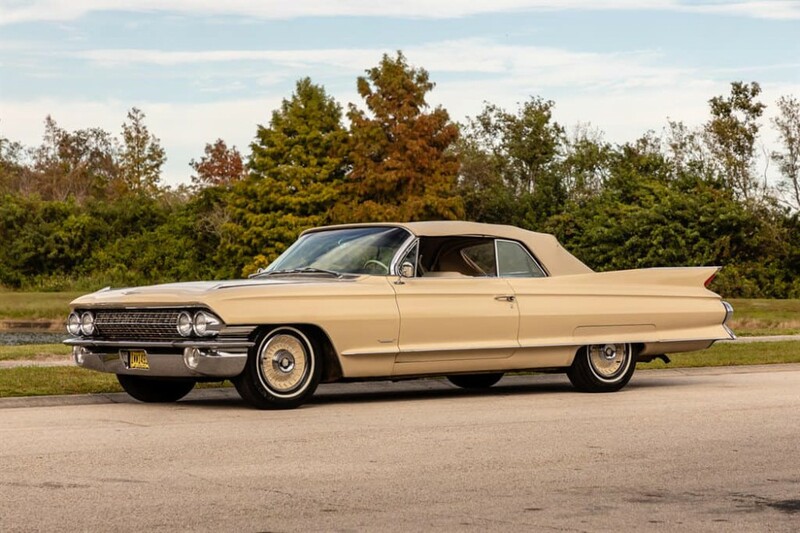 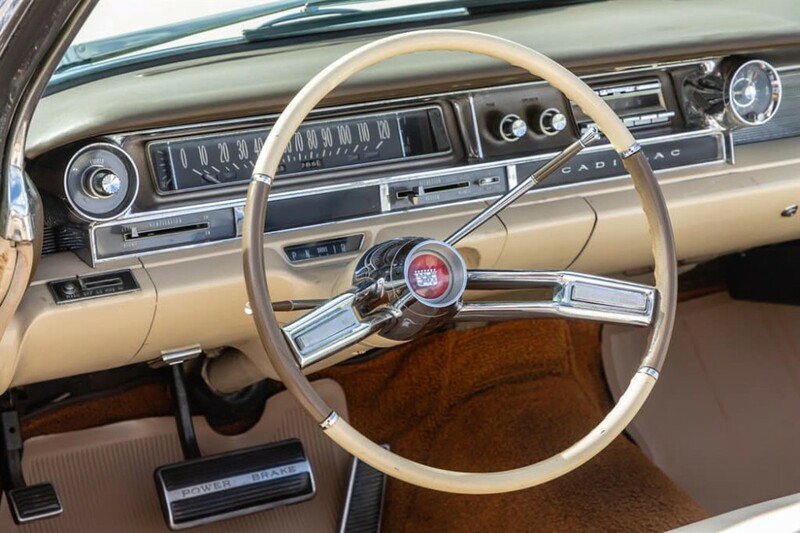 A factory-correct Laredo Tan 1961 Cadillac Series 62 convertible – yes, your eyes are not deceiving you. 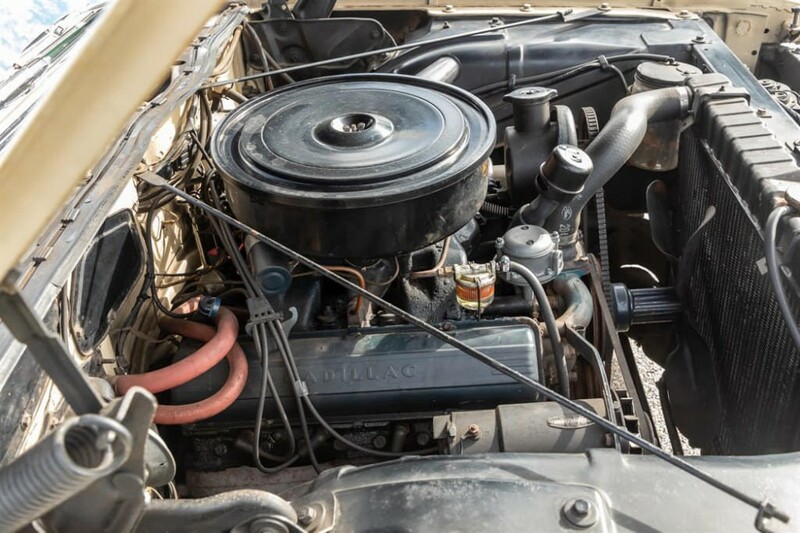 But don’t be afraid to keep digging, because you’ll see a cool classic with everything from its original numbers-matching V8, to a professional respray of its Laredo Tan. 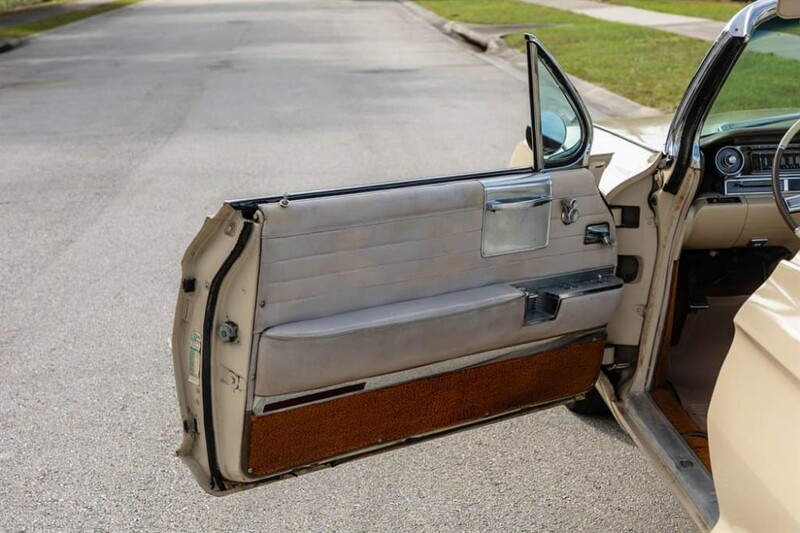 This kind of tan paint is better formalwear than a tuxedo. 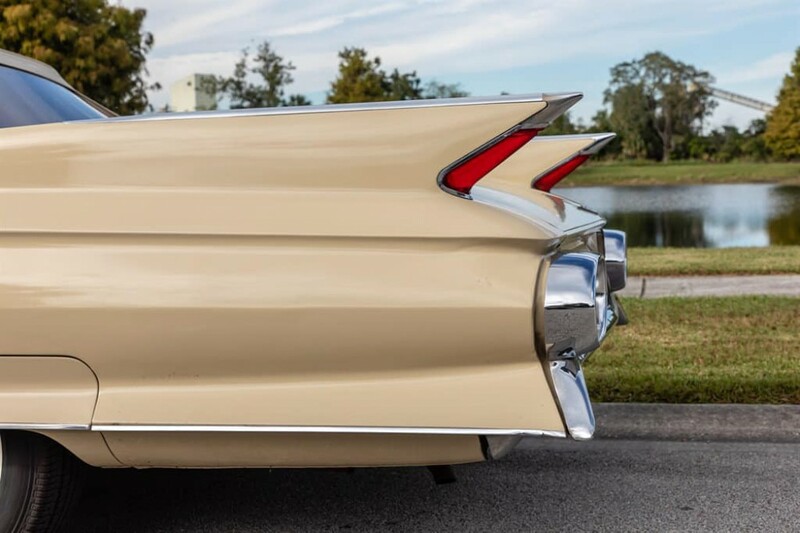 A recent professional paint job of the factory correct color gives this Cadillac the power to be a celebrity. 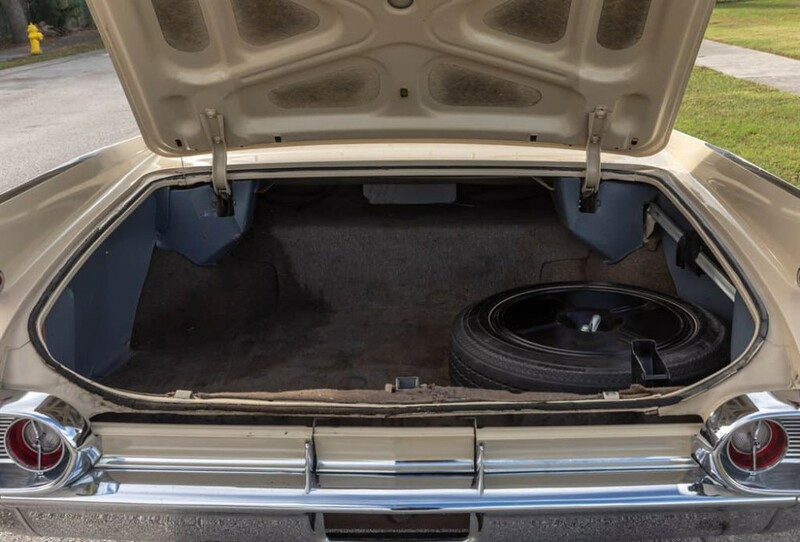 And let’s be honest, we all love to see when someone has already made the proper investment of time and money keeping an car like this looking like a superstar. 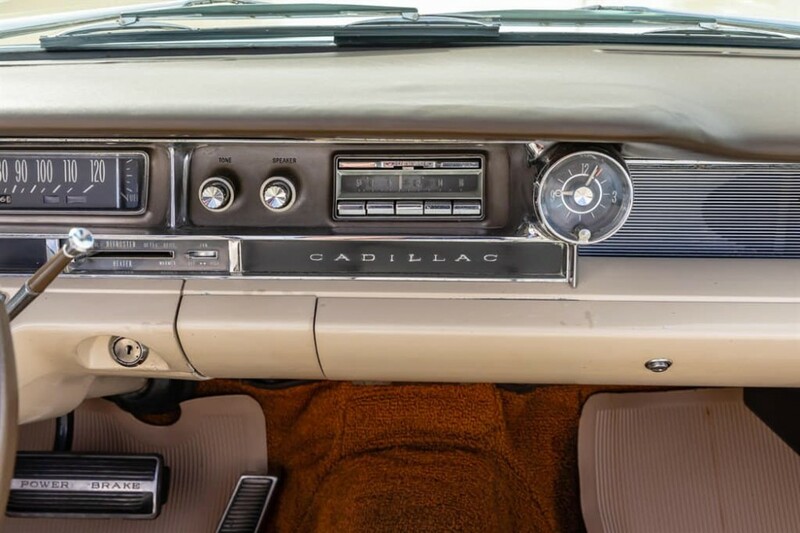 After all, the area of sheet metal and all that brightwork are as American as apple pie. 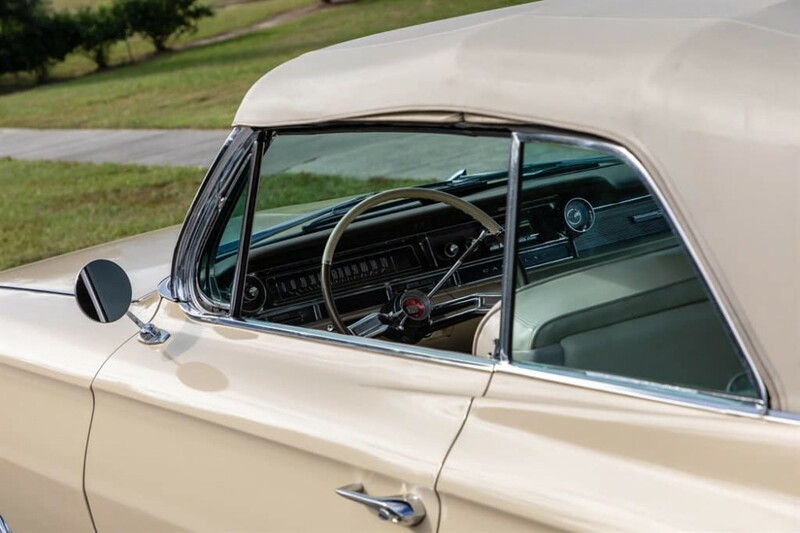 That’s why we are so pleased to an overall presentation that is precise, complete, and shining like a gem right down to the wire wheels. 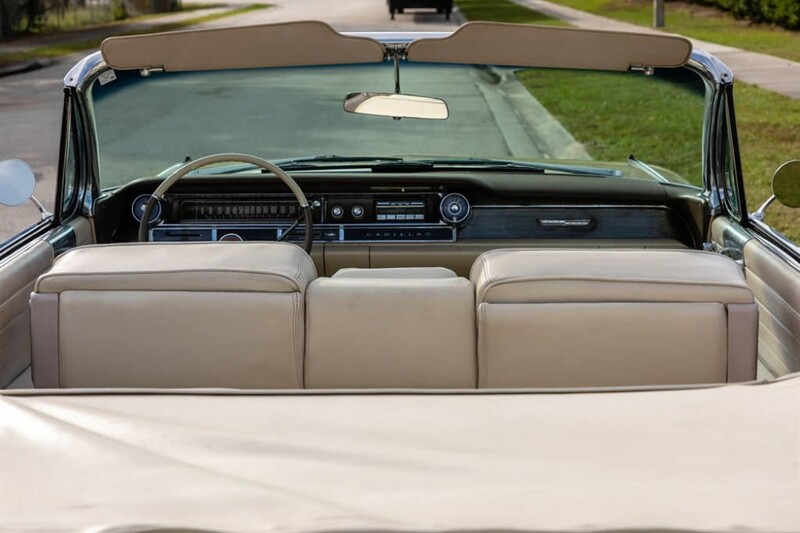 Even the convertible top is original. 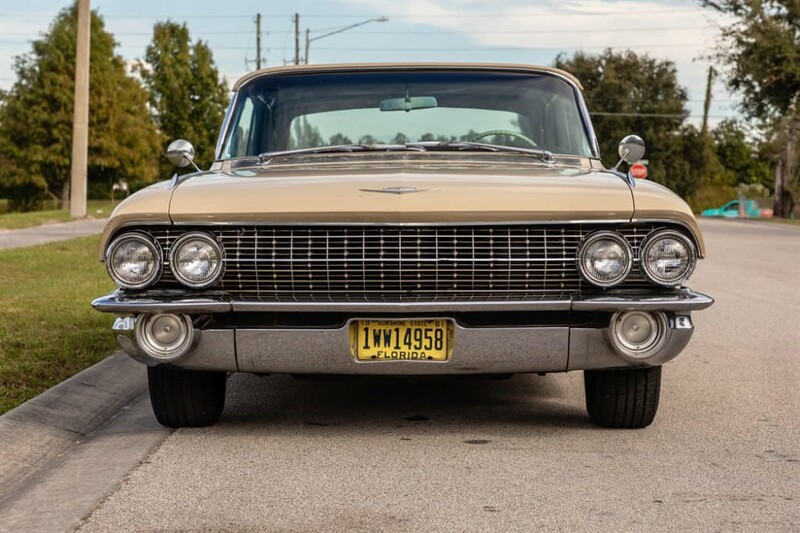 For many, 1961 is the perfect year. 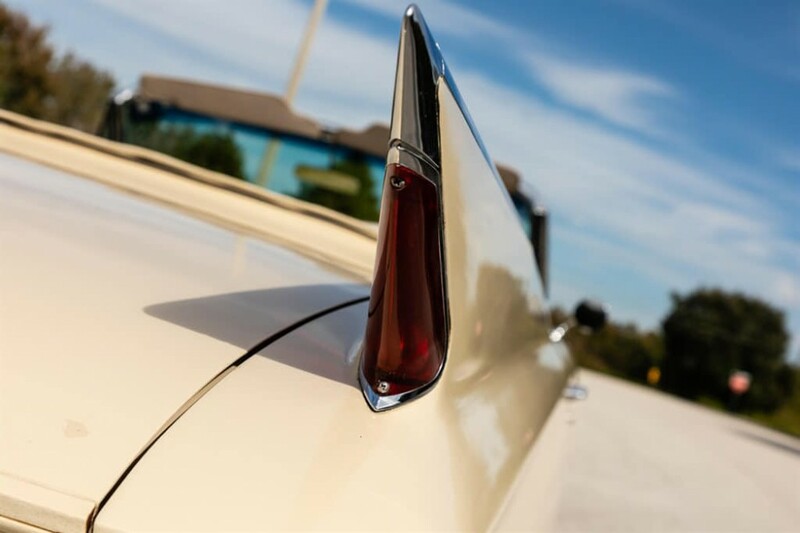 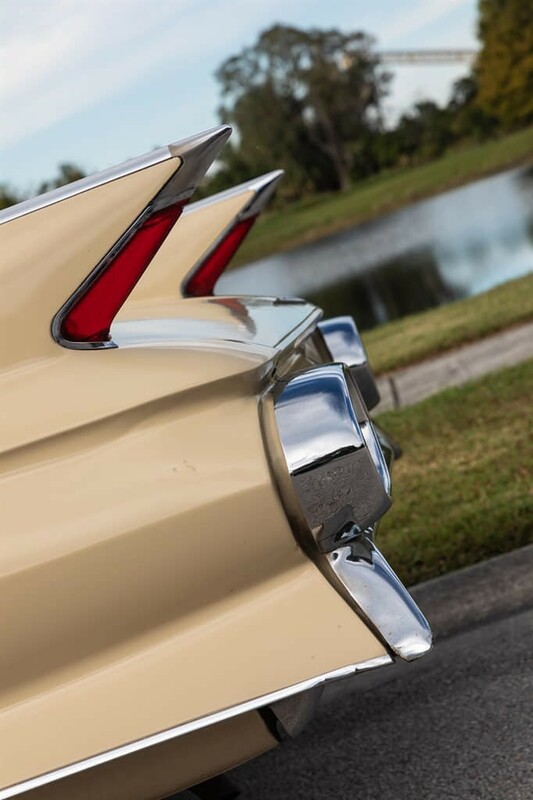 The iconic tail fins were toned down from their peak in ’59 where the sleeker style made these classics appear a whole lot sportier. 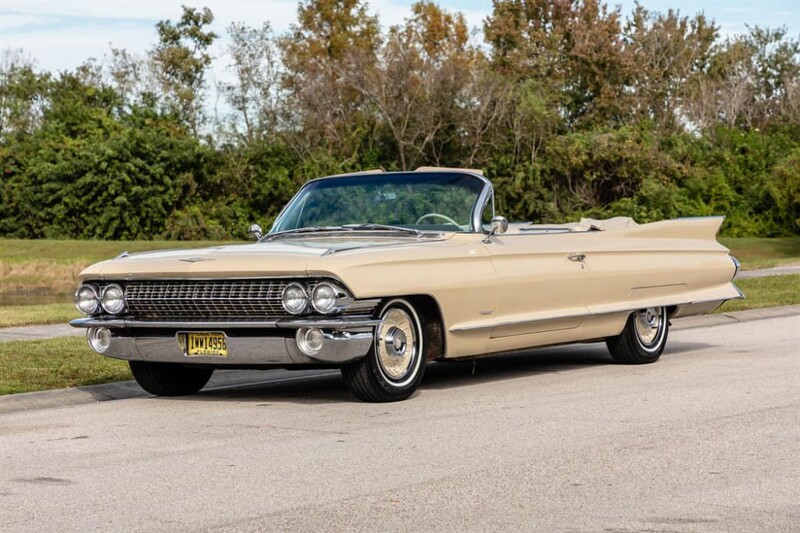 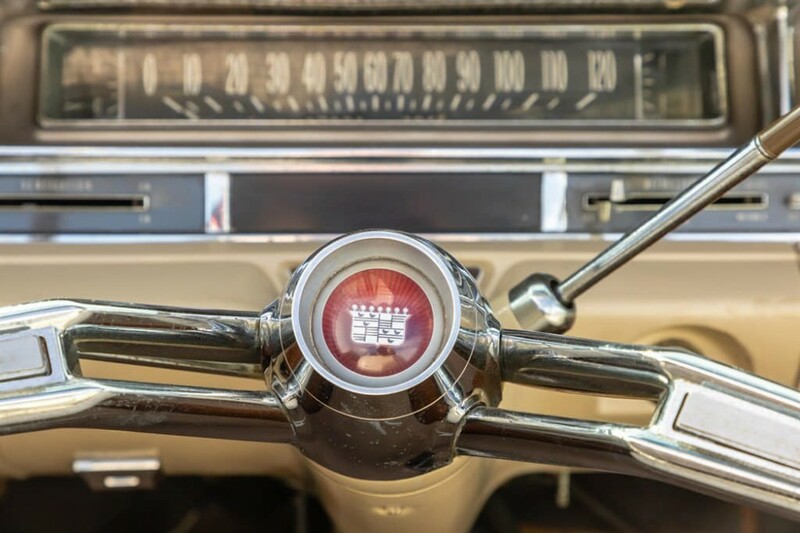 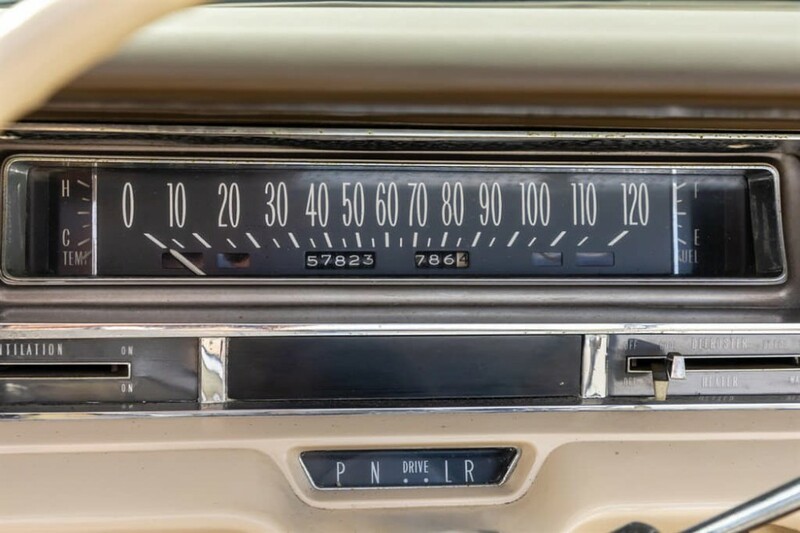 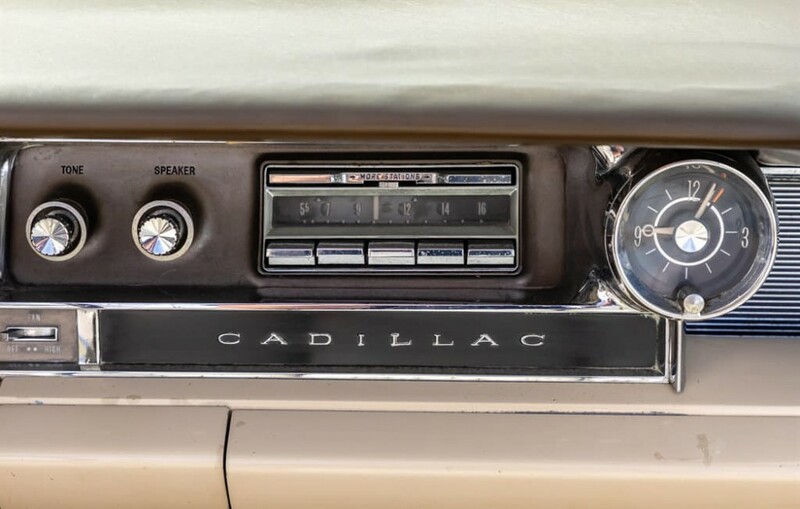 This 1961 Cadillac Series 62 Convertible has 57,000 Original Miles, 390 V8 Motor, 3 Speed Automatic Transmission, Power Steering, Tan Paint, Steel 15″ Wheels with Hubcaps and Bridgestone Tires, Tan Vinyl Interior in excellent Condition, Aftermarket AM/FM/CD Stereo, Original Radio still in Dash, Power WIndows, and Power Driver Seat. 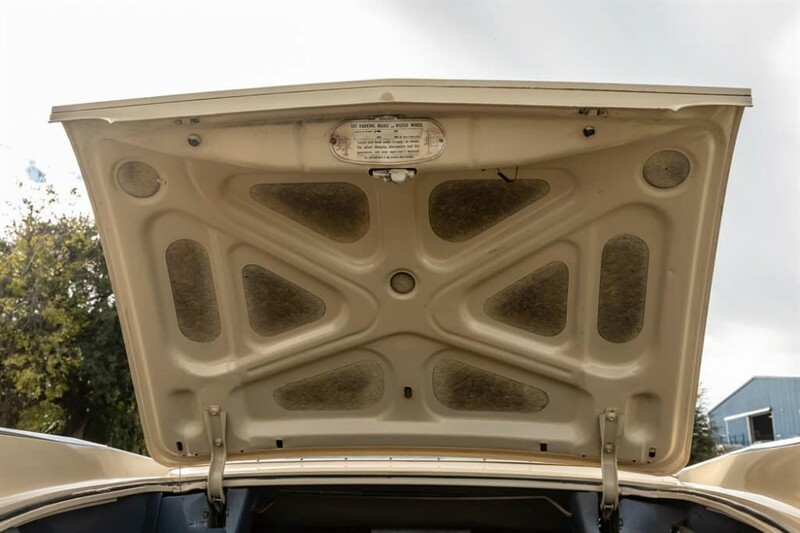 This car has been very well taken care of and maintained. 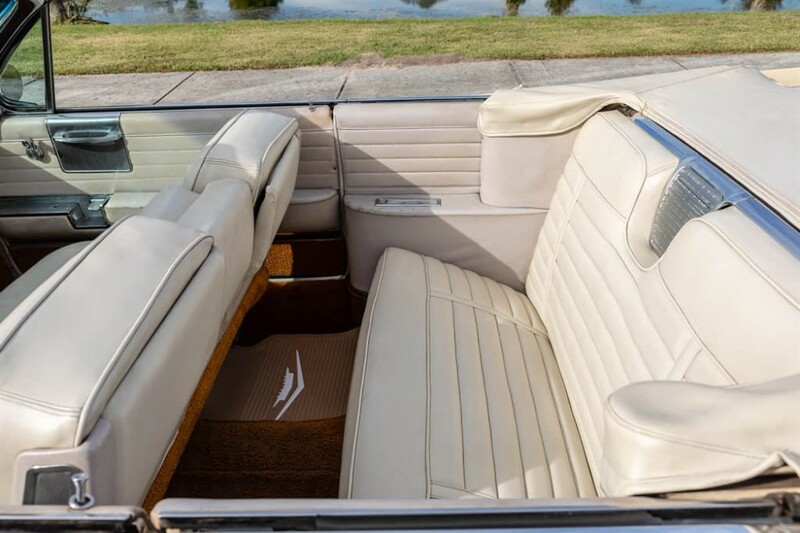 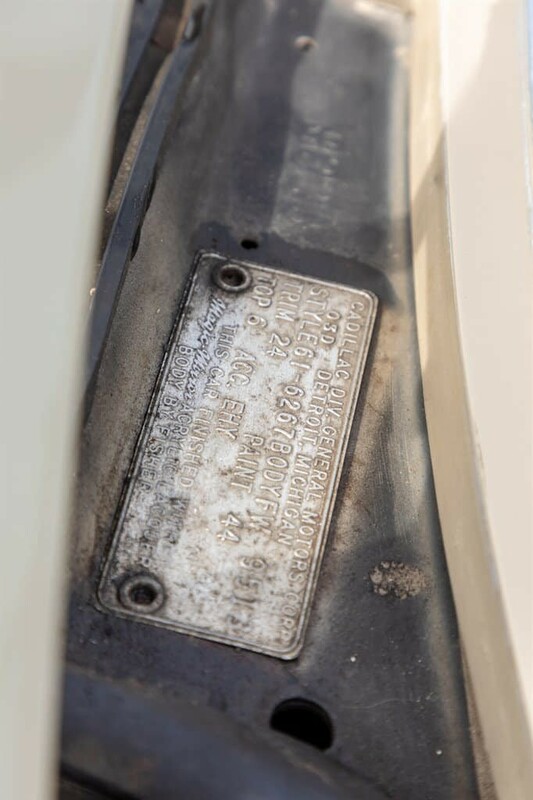 The Convertible top is in excellent condition. 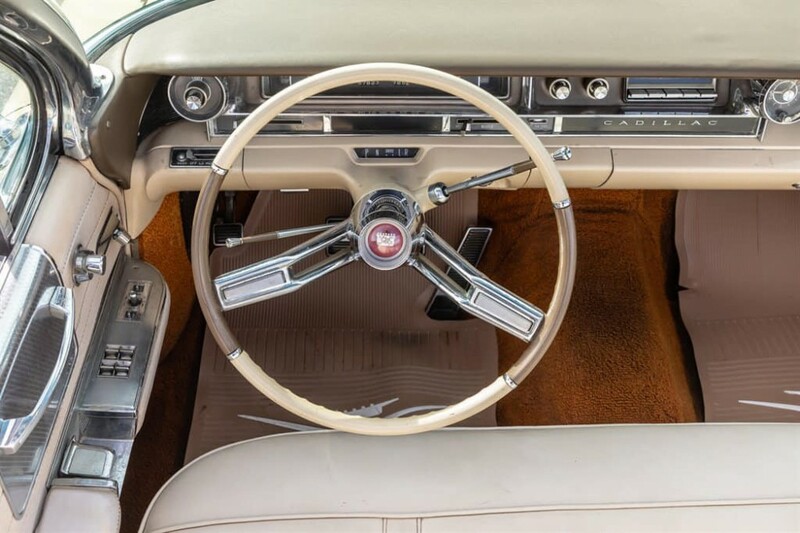 Drive and Enjoy this car anywhere! 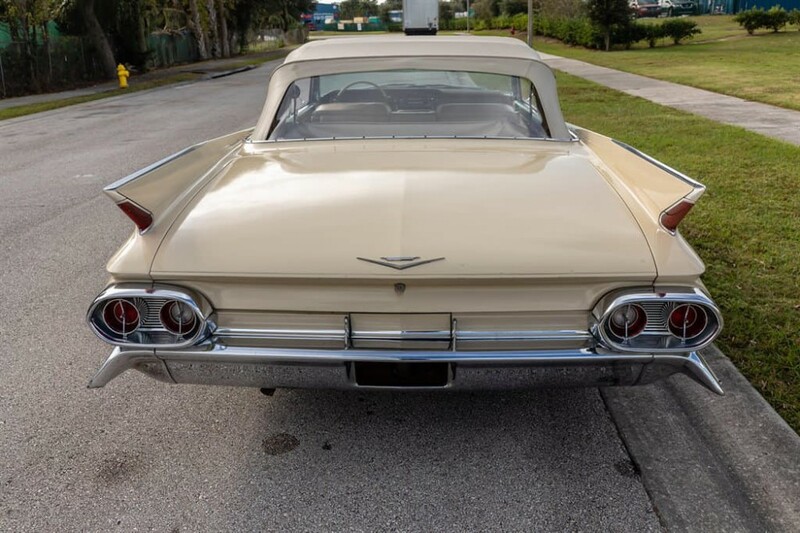 So if you are looking for a nice classic 1961 Cadillac Series 62 Convertible that is in extremely good condition, then you have found it. 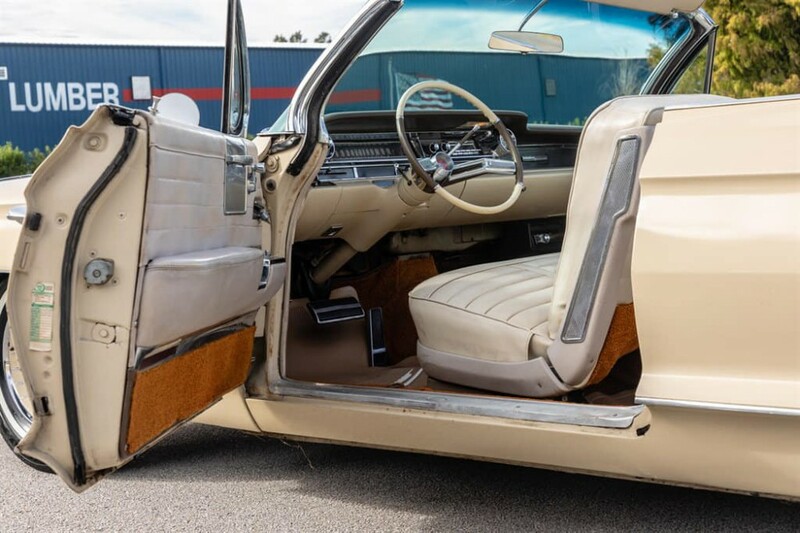 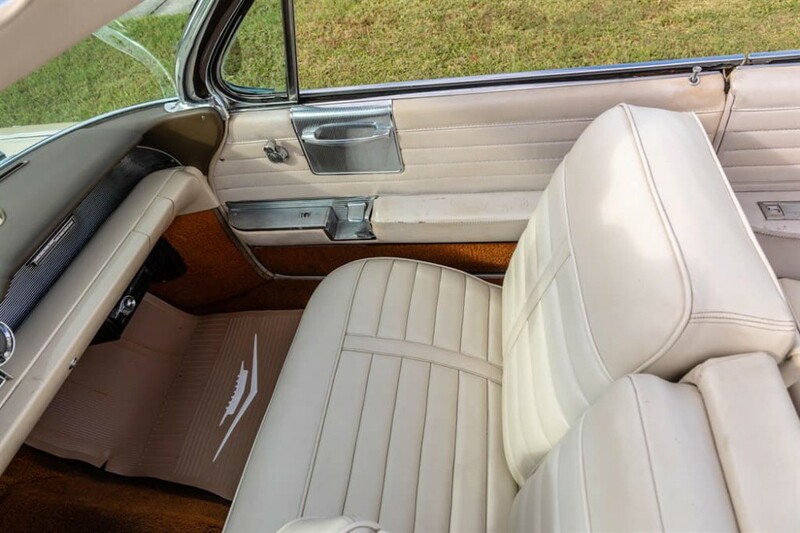 I don’t think you can go wrong by purchasing this car, especially if you like classic Cadillacs like this one. 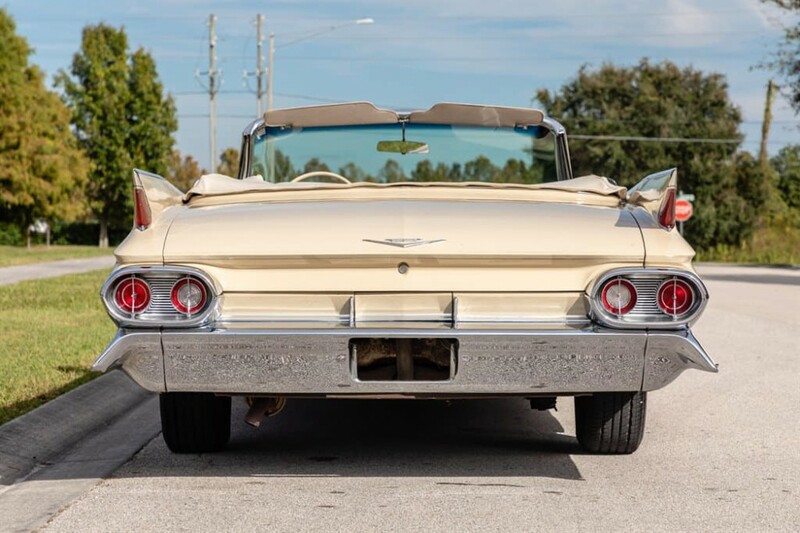 Don’t let this one get away…give us a call TODAY!